Consuming high fiber foods is important for all people; but it is especially important for those who have PCOS and endometriosis and who are trying to conceive a child. Fiber helps the body to properly regulate blood sugar levels. Stable blood sugar levels boost fertility because of the balancing effect on the hormone production. Simple carbohydrates or sugary treats with little or no fiber which have a high glycemic index cause blood sugar levels to plummet. This, in turn, can greatly interfere with estrogen production. PCOS causes insulin resistance and makes it hard for your body to deal with sugar. The body takes it and converts it to fat—usually right around the middle, and it can happen very quickly. Adding more fiber to your diet can help you to reduce your weight which is often a challenging issue with those with PCOS. For those who are struggling with PCOS, eating high fiber, low glycemic carbs will make you feel full for a longer period of time, helping to curb those cravings that sneak up on us. In women with endometriosis, the growth of the uterine tissue can form outside of the uterus. Often, it can be in the bowels. Hormonal imbalances further contribute to the growth of this tissue. So, following a diet that is high in fiber will serve to balance these hormones, and can result in less formation of uterine tissue. 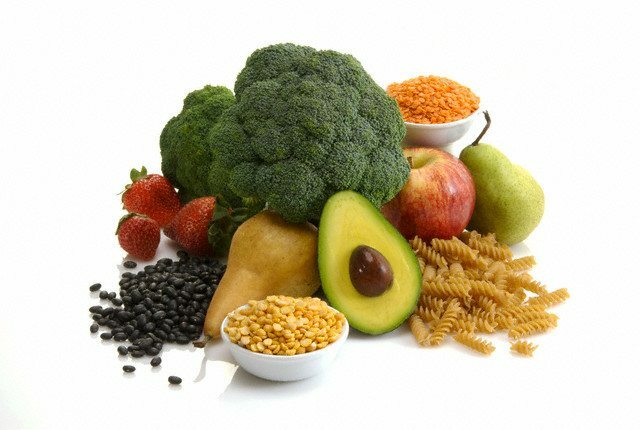 Eating fiber also reduces inflammation and helps to eliminate the excess hormones in the body. When added with the proper amount of fluid intake, fiber will ‘remove’ through the bowels the extra estrogen and stops it from going back into the bloodstream. Acupuncturists at each of our CNY Fertility & Healing Arts Centers are available to offer Nutrition Consultations. Please feel free to contact us to discuss this further.